So We Read On. How The Great Gatsby Came to Be and Why it Endures by Maureen Corrigan was a should-read for me (a library book, for one thing), but it was also a book I did want to read. And I only had to read a few pages before being drawn in. In fact, I was a bit surprised by how compellingly readable this book is. Corrigan LOVES The Great Gatsby, and by the end of this book, she’ll convince you that you should, too. 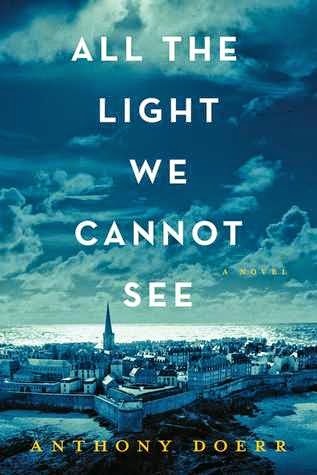 The author is a Fitzgerald fan, but she comes right out and says that this is his only great novel. 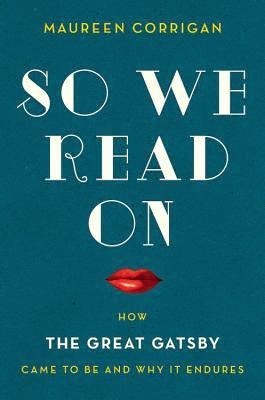 So We Read On is an exploration of Fitzgerald’s masterpiece from a variety of interesting angles. It traces the history of the resurgence of the novel’s popularity and critical acclaim after its initial poor reception and decline into obscurity. A biography of Fitzgerald is woven through the analysis, which adds to the understanding of the novel. His life story is poignant and tragic. The posthumous success of the novel is therefore a triumph, but, given how much it would have meant to him during his lifetime, sad. The best part of So We Read On is its examination of the novel itself. Corrigan puts forth several theories/analyses of The Great Gatsby--what makes it a great book and an odd book, why it is a decidedly un-American Great American Novel. I read Gatsby for the first time not too long ago (almost three years ago- longer than I thought). I liked it quite a bit, but didn’t love it since I had just finished a Balzac novel that impressed me more. Clearly, I didn’t read Gatsby closely enough! Corrigan’s interpretations show the scope and importance of the novel and explain why it does endure. Many of the details she refers to had me thinking: huh, I don’t remember that. All of which make me want to read Gatsby again, which I believe is the point. So, well done! 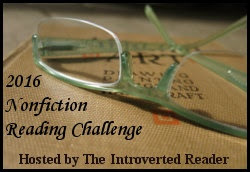 This is my sixth book completed for the Nonfiction Challenge hosted by The Introverted Reader. The stars aligned to get me to pick my latest book. I have a stack of should-reads, but I was in the mood for something fast-paced and fun, something adventurous. Ever since reading The Riyria Revelations by Michael J. Sullivan, I’ve been on the lookout for more fantasy of the same sort. 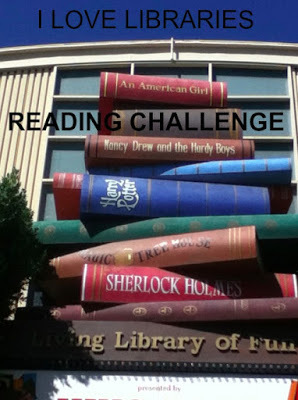 (Game of Thrones is on the list but too daunting because of its sheer volume.) 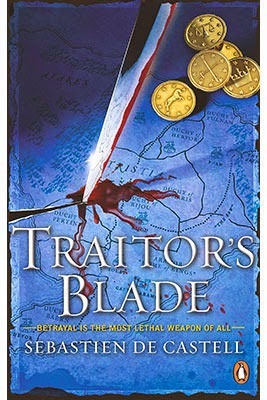 So I was excited to find a recommendation for Traitor’s Blade by Sebastien de Castell. I bought the book. My son read it and enjoyed it. Then it sat on my shelf. However, book 2 in the author’s Greatcoats series, Knight’s Shadow, became available on Netgalley and I received a review copy. I can’t read book 2 before reading book one! So I settled in for my weekend read. Traitor’s Blade is a rip-roaring tale of loyalty to a cause and to a dead king (and good friend) against all odds. The protagonist, Falcio Val Mond, is one of the last of the Greatcoats, magistrates of the king. In fact, Falcio was the Cantor, the leader of the Greatcoats. Their duty was to administer the king’s law throughout the land, protecting the people from the injustices of the rapacious Dukes. The Dukes didn’t like that much. They killed the king and dispersed the Greatcoats, convincing the people that the Greatcoats were nothing but traitors. Falcio now roams the countryside with two fellows, Kest (the greatest swordsman in the history of forever) and Brasti (a bowman who never misses) trying to honor the king’s last request: find his Charoites. Falcio is happy to try, except he doesn’t know what they are or where they might be–some sort of treasure hidden within lowly loyal noble households. He has to hurry, because the Dukes are doing their best to stamp out every last bit of loyalty to the memory of the king, and that includes hunting down the last of the Greatcoats. For starters, someone murders the man who has just hired Falcio and company as bodyguards, and then frames them for the murder. Things go downhill from there. This novel is fun. There is nonstop adventure. Falcio nurtures a deep wound and a strong sense of honor that push him onward despite obstacles that seem insurmountable. His fellows have issues of their own, but cling to the Greatcoat ideals out of loyalty to either the king or possibly to Falcio. The reader will likely figure out the secrets before Falcio, but we’re not under the same pressures he is! The book delivers what is promised and I’m eager to move on to book 2! I’ve never given a whole lot of thought to Nathaniel Hawthorne. In high school, I read The Scarlet Letter. When my kids read it during their high school careers, I thought I should re-read it, but didn’t. Once may be enough. Still, I’m always curious about writers’ backstories. Erika Robuck’s new novel, The House of Hawthorne, grabbed my attention as the love story between Hawthorne and his wife and muse, the artist Sophia Peabody. Curious to learn more about Hawthorne’s career and this romance (and having enjoyed another Robuck novel, Call Me Zelda), I dove into this one. Sophia narrates the novel. An old woman looking back on her long, happy, fruitful marriage to Nathaniel, Sophia is reluctantly parting from him. He suffers from a long-standing illness and is about to embark on a journey with an old friend. One senses, along with Sophia, that he might not return. She uses the opportunity to wax nostalgic, taking the reader with her as she revisits the past. Young Sophia was a talented artist who suffered terribly from migraines. The emotion of her artistic endeavors seemed to be one of the triggers. She came from a large, supportive family. Her mother, in particular, supported her artistic endeavors even to the point of discouraging her from marrying because the burdens of inevitable motherhood, combined with her poor health, would make it impossible for her to pursue her art. The course of her life changes when her sister begins inviting a promising young author, Nathaniel Hawthorne, to call on them. The attraction between Nathaniel and Sophia is immediate and intense. Before long, they are courting in earnest. Marriage is slow to follow. Hawthorne has family concerns; he supports his mother and sisters emotionally and financially, and believes they will feel abandoned if he weds. Moreover, he is hesitant to marry before he can support a wife. Love triumphs over such practical concerns. 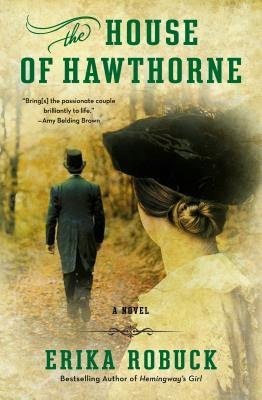 The novel follows their time together, their struggles as a poor young couple, the growth of their family, Hawthorne’s budding career, and Sophia’s conflicting emotions over the abandonment of her own art as she concentrates on home, hearth, and family. Robuck does a wonderful job of taking us through this beautiful relationship, filling it with the details of Hawthorne’s life story. The House of Hawthorne is a sweet, gentle, romantic story that is completely convincing–these two artistic souls deeply loved one another. There was no conflict between them; they faced their obstacles together. I have a new appreciation now for Hawthorne, and am going to have to add something of his to my TBR pile. A re-read of The Scarlet Letter? Or should I try something different? 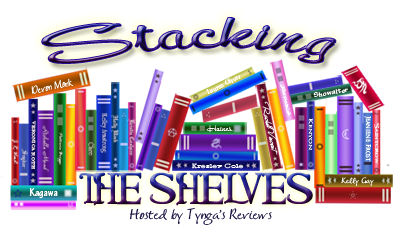 Stacking the Shelves: More to Read!!! I'm taking part in a new (to me) meme this week, one that I've watched fellow bloggers participate in for a while now. Being horribly unorganized, I haven't jumped in as yet, but I thought I'd give it a go today. 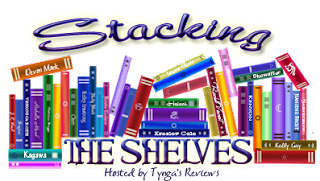 Stacking the Shelves is hosted by Team Tynga's Reviews. Two books have come into my house this week. One is a library book, so I'll either read it soon or not read it at all. It came recommended via another book I read and though it's a bit out of my usual reading zone, I really want to tackle it. Literary criticism? I'll give it a whirl. 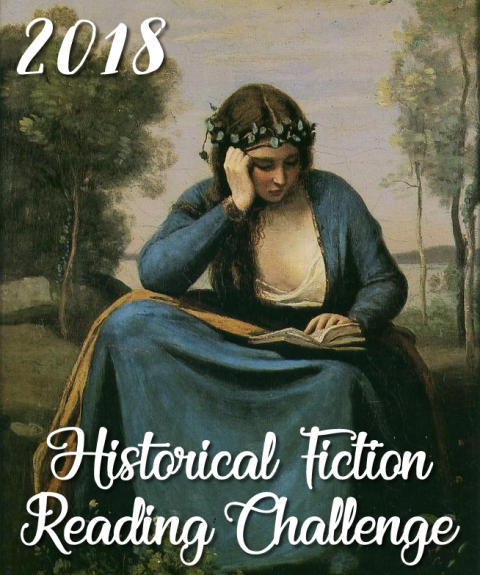 The next is historical fiction, more up my usual alley. 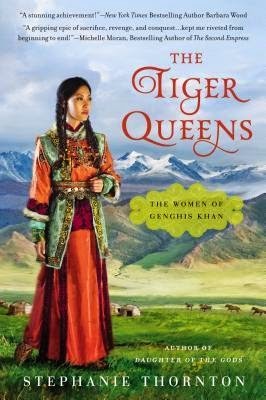 I won this book in a giveaway held by The True Book Addict.﻿ Set in a time period I love, but a more exotic locale that I usually seek out, I'm looking forward to this read. I’m back. That was too long a break from reading. . .lots going on. But, I did finally settle in with a book, and it was a great one. 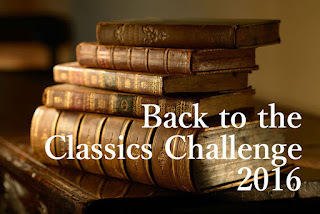 I picked one that did double-duty for the Historical Fiction Challenge and my Back-to-the-Classics Challenge: Classic with a Person’s Name in the Title. I chose Rebecca by Daphne du Maurier. It’s hard to believe I’ve never read this; it’s been on my TBR list for as long as I’ve had a list. When I opened the book and read: Last night I dreamt I went to Manderley again, the line was so familiar to me I thought: Have I really not read this before? I thought I did, but I hadn’t, or I would have remembered more than that classic first line. Written in 1938, Rebecca is considered Daphne du Maurier’s finest book, and it is certainly her most popular, never having gone out of print since its first publication. The story is narrated by the protagonist, older and wiser now, who is looking back on her younger self and the tragedy that she and her husband have been through. The name of the protagonist is never given, although we are told that it is unusual. She recalls for us how she met her husband, Maxim de Winter, in Monte Carlo. At the time, she was a naive young woman, an orphan, and a paid companion to a rather awful woman. Maxim was a new widower whose first wife, Rebecca, had died tragically not a year before in a boating accident. He didn’t speak of it but the protagonist’s employer did. After a brief, whirlwind courtship, Maxim and the protagonist are wed. The second Mrs. de Winter is swept home to Manderley, an English estate, buried away near the coast, an extraordinarily beautiful, but isolated, home. However, it comes with a lot of baggage–Maxim’s memories and a house full of servants, including the forbidding Mrs. Danvers, the head housekeeper. Maxim is haunted by his memories of Rebecca. She was a charming, vivacious, and beautiful woman. Everyone who knew her, loved her, Mrs. Danvers most of all. Our protagonist is near paralyzed with insecurity. Her husband is almost twice her age and born to this lifestyle. She is a fish out of water. From the moment she enters Manderley, she feels oppressed by Rebecca’s shadow. Mrs. Danvers’ obsession with her dead mistress borders on, and perhaps crosses over into, insanity. And her husband, whose support she needs most of all, has become increasingly aloof. Moody even. 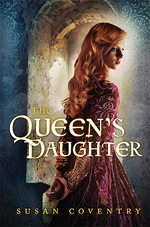 This book is a work of gothic, romantic suspense. One of the reasons it worked so well for me is that despite it being on my radar for so many years, and despite my having heard little bits and pieces about it, I didn’t know the actual plot. I’d never come across any spoilers. So I won’t delve any deeper into plot points that could spoil it for anyone else. I did think the author did a wonderful job of showing the shy, gauche, insecure young mistress of the house lost and alone, desperate to fit in. Choosing to tell the story from the point of view of the same character looking back was a wonderful choice. The narrator acknowledges the ridiculousness of youth but with a heart-wrenching empathy for it. She knows better than any judgmental reader that she could have acted differently, been a stronger person, but she explains the state of mind of that naive young bride so well that I am right there with her. 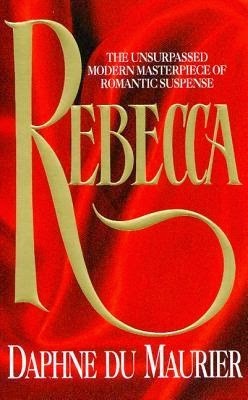 If you’re looking for a fairly quick read with some mystery, suspense, and old-fashioned romance, you can’t go wrong with Rebecca. I've had a very crazy couple of weeks and haven't gotten any new reading done. The blog is sorely neglected. So having heard that this incredible book won the Pulitzer Prize for fiction, I'm linking back to my recent review-- here. Also, the rich setting of the book is one of it's greatest triumphs. Didn't reading it make you want to explore Saint-Malo? And Paris, of course. And were you curious about Werner's mining town in Germany? If you want to fantasize about (or go further and plan) a visit to the settings of the novel, have a look at Alison's Auto Europe Travel Blog. And now I really need to pick up a book and practice some escapism from my couch.